Both your current and future buyers are mobilized. Almost the entire millennial generation will have mobile phones by the end of the year, 75% are expected to use smartphones and 8 in 10 affluent consumers over 21 already do. Mobile is even strongly embraced by the 35-44 and 45-55 age brackets. And, while you might be creating mobile websites, ads or apps, appealing to the mobile shopper of any age isn’t just about the technology. You have to appeal to their mindset. Look at your phone. You likely have zero unread texts and a heap of unopened emails, even though Forrester says 6 billion text messages are sent each day. Texts embody the right-here-right-now immediacy that people love about mobile tech in general…and are starting to demand when they’re car shopping. One step toward meeting that demand is treating mobile shoppers like they’re on your lot. You wouldn’t greet a customer face-to-face, get their contact information, and send them on their way for you to call back. 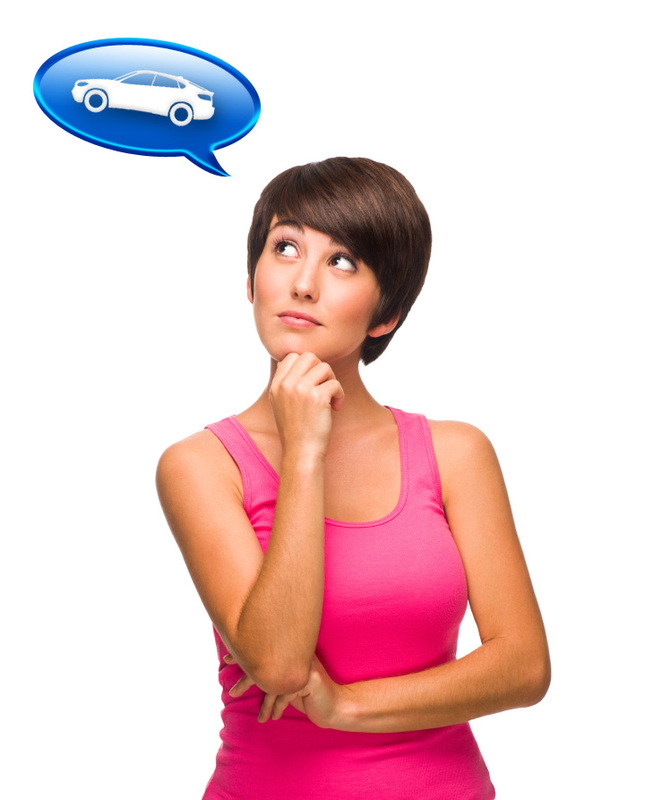 Yet many dealers do that with car shoppers in their virtual showroom who have questions. It turns a customer ready to talk about a car right now into someone you’ll get back to later. And mobile shoppers aren’t sitting still. They’ll thumb their way right on over to your competitor’s site. Several technologies allow you to converse with your mobile shoppers in real time so they rarely have to wait. Live chat and mobile text are examples, and both can appeal to consumers who may prefer texting and chatting more than phone calls. 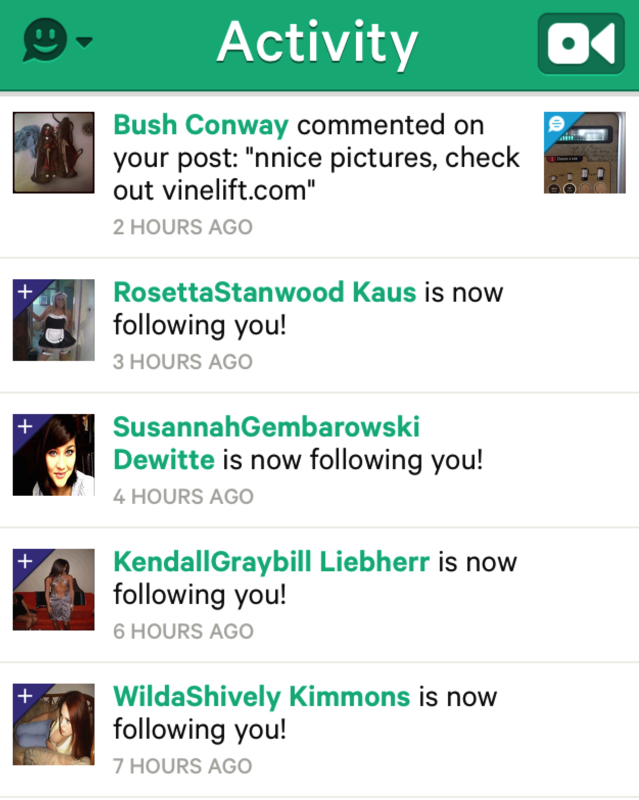 Instagram Video: Curtains for Vine? There’s something very “Instagrammy” about the way these spam accounts look. 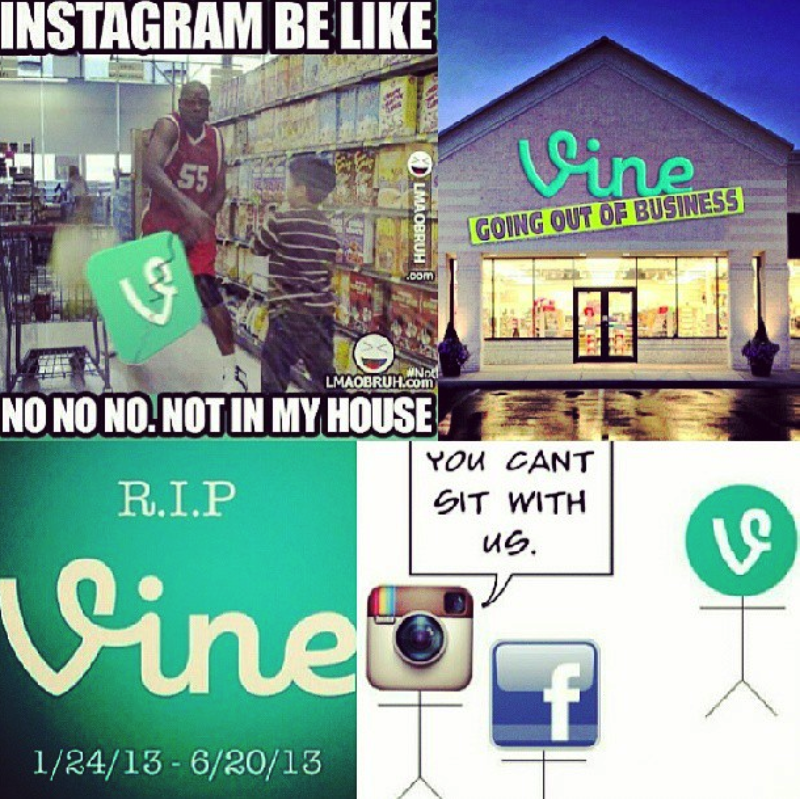 Could it be this was a coordinated effort to help convince people to shut down their Vines? Is there such a thing as a strategic Spambot onslaught? Surely not. From there, you simply hold down the record button in small bursts until you have enough video to post. I give our industry a D+ when it comes to the hiring process and a frequent complaint right now is “I can’t seem to hire good salespeople.” Joe Webb nailed it when he made this video: The Job Interview. 50% of the most successful companies have given up on job boards. Social media sites like LinkedIn, Twitter and Facebook are cheaper and more effective. People hired by referral are 47% more likely to stick around after three years, compared to 14% for job-board applicants. Cash bonuses are the best way to get current employees to refer others. $1200 is the average referral bonus across all industries for full-time hires. 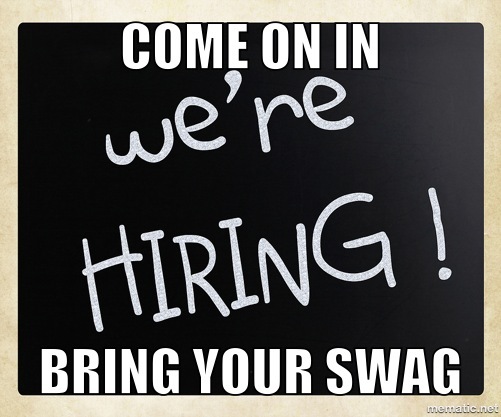 When you are ready to make a hire, start by notifying current employees. If the job pays well, employees will often brag about how much they love their work and attract others to your business. I have used this strategy for the last three years when hiring coaching staff for Phone Ninjas, and I often have qualified applicants waiting for a job. If your dealership has Facebook presence, this is also a great way to inform people of your intentions to hire. You could also offer a bonus to customers who refer others. Everybody knows somebody looking for a job. It’s hard to call the changes that have happened in automotive social media over the last five years an evolution. The medium was gone from promising to enigmatic, from simple to impossible. It was something that every dealer had to do before being something that many dealers ignored. Today, the realities of what social media can and cannot do for dealers is starting to become more clear. Much of the clarification is coming through better understanding by the mediums themselves. Facebook, for example, is finally starting to understand how to let businesses leverage the advertising platform without harming their user experience. The other part has to do with dealers. Many are hiring tech-savvy people to run their digital marketing instead of handing it off to an “old car dog” that’s willing to stop taking ups. Some are finding success getting resources, training, and support for their “old car dogs” who have learned to make the transition from old school networking and advertising into the digital age. A community member asked me yesterday where they could find some great information and research around GenY and Millennials. The frist thing that came to mind was Lindsly’s presentation on Why Millennials Aren’t Buying Cars. There was a day where our vehicles were our freedom, now it’s being plugged into the internet. Which one would you choose if you had to? 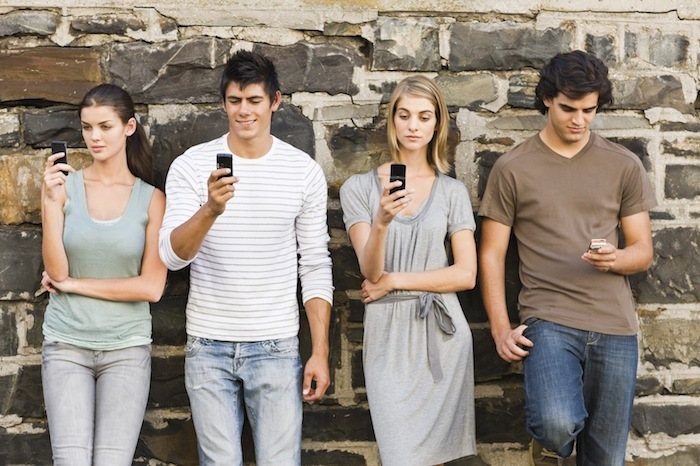 What changes will GenY and Millennials have on our industry? Remember those Apple iPhone ads for Siri? “Siri, remind me when I get home to take out the trash”. Admittedly Siri has had her bad PR as of late – more useful as a tool to raise blood pressure than provide convenience. While we can debate the usefulness of Siri, I want to focus your attention on the location targeting technology at play in that commercial. Your iPhone is able to give you useful information when the timing’s right. In this example it’s arriving home and taking out the garbage. In other examples it can be a coupon or offer at the time you’re purchasing a product. In a commercial setting Location Targeting derives the most benefit with retailers who rely on timing to engage their customer. For large ticket retailers, such as dealers, convenience and timing of the message is key. How valuable would it be to chat with your customer the moment they walk onto a competitor lot? How valuable would it be to send an oil change coupon to your customer the minute they pull into a quick lube station? For the first time we are able to influence a customer precisely at the moment of decision. I’m wondering how much money everyone spends on re-targeting Some of you may be paying for it and don’t know that you are. Especially if you market with Cobalt. Re-targeting seems to be the new big thing, and Cars.com is coming out with there version of this package on June 3rd. The second question I have is how many of you have heard about this program? I know they have made test runs in bigger markets like Atlanta. I would love to hear from someone in one of these markets. For those who don’t know about this program I will give you some details so you can give me your feedback. First, there are different types of re-targeting The basic type is when someone goes to your dealer website a cookie placed on there computer and your online ad’s will start popping up on that computer when the online shopper is on other various websites. One can even push Silverado ad’s to an online shopper that was looking at Silverado’s on your website. Cars.com is coming out with a re-targeting package that goes something like this. When a local shopper in your local market searches for the make you carry then your dealers “cookie” is locked into that customer for 60 days. That customer will see your dealers ad’s across various websites that cars.com is affiliated with which is in the millions, from what they are telling me. For example: we are a Chevrolet dealership. If a customer that is local to us, the program is based off of zip codes goes on cars.com and searches for any Chevrolet then that customer will now start seeing my dealer ad’s on many other websites. Here is where it gets interesting. This varies by market, but in my market, New Orleans LMA, they are only allowing two Chevrolet dealers to participate. One Chevrolet dealer can buy both spots if they choose. The cost varies by market and it’s actually fairly reasonable if you ask me. Supposedly the spots in Atlanta have already sold out according to the cars.com rep, but of course that’s what they would say. What is everyone’s opinion on this, and have you heard about it yet? NEW YORK — IHS Inc. said Sunday that it struck a deal to buy privately held R.L. Polk & Co., the owner of used-car history provider Carfax and a leading provider of auto industry data, in a deal valued at $1.4 billion. IHS, in a statement today, said the acquisition would be funded with 10 percent equity, cash on hand, and various bank loans. The deal remains subject to the usual closing conditions and anti-trust clearance from government regulators. “The acquisition of R.L. Polk brings extensive and complementary information and analytical solutions that would establish IHS as a vital strategic partner of the global automotive value chain,” IHS CEO Scott Key said in the statement. Besides its ownership of Carfax, Polk is known in the industry for its vehicle registration data, sales forecasts, and tracking of owner loyalty. R.L. Polk — which has been family-owned for more than 140 years — said in March that it was exploring its options, including a sale of the company. At the time, Polk said it engaged Evercore Partners, a New York investment banking firm, to handle the review. “There is no defined timeline for this process,” Polk said in a statement on March 7. IHS calls itself a “global information company” and owns businesses including defense publication Jane’s, energy research firm CERA and economics firm Global Insight. In the early 1920s, General Motors President Alfred P. Sloan asked Ralph Lane Polk II to impartially tabulate and publish automotive statistics, according to Polk’s Web site. Polk soon took on the role of an “automotive information and solutions provider” when it published the first Passenger Car Registration Report covering 58 makes and accounting for 9.2 million passenger vehicles, the Web site said. Stephen Polk, the grandson of Ralph Polk II, has been CEO since 1994. Polk generated revenue of $359 million in 2011, the latest year in which information was available. It employs 425 people at its suburban Detroit headquarters and 1,268 worldwide. 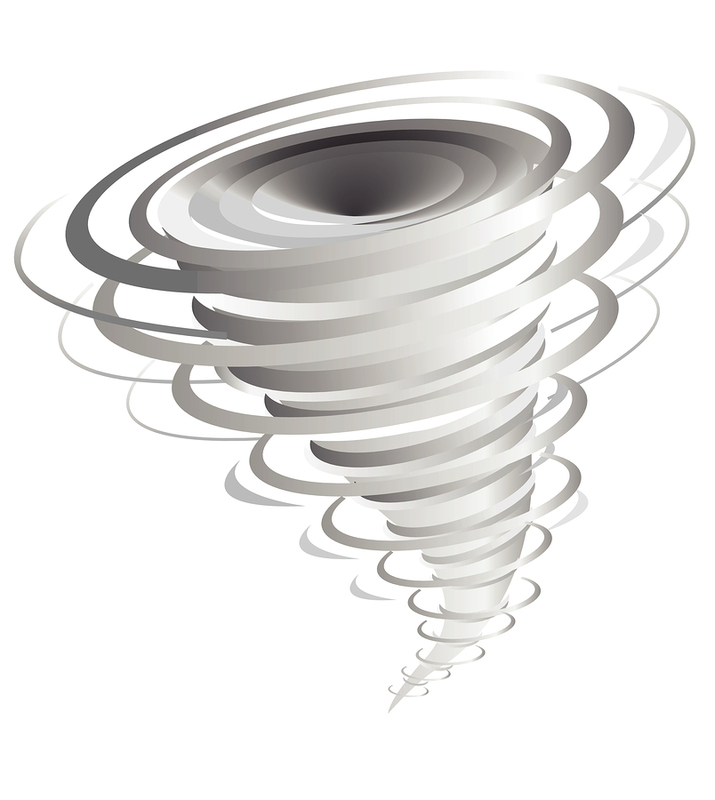 Polk has offices in Long Beach, Calif.; Woodcliff, N.J.; Centreville, Pa.; Canada; England; France; Germany; Spain; Italy; Australia; China; and Japan. Vince Bond Jr. of Automotive News and Reuters contributed to this report.